Liverpool’s ‘Saint of the Slums’, as she was later dubbed, was born Catherine Seward in Londonderry, 1786. 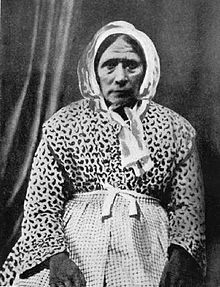 She came to Liverpool in 1795 with her mother, having lost her father and sister in a shipwreck, and was apprenticed in a cotton mill in Lancashire at the age of 11. 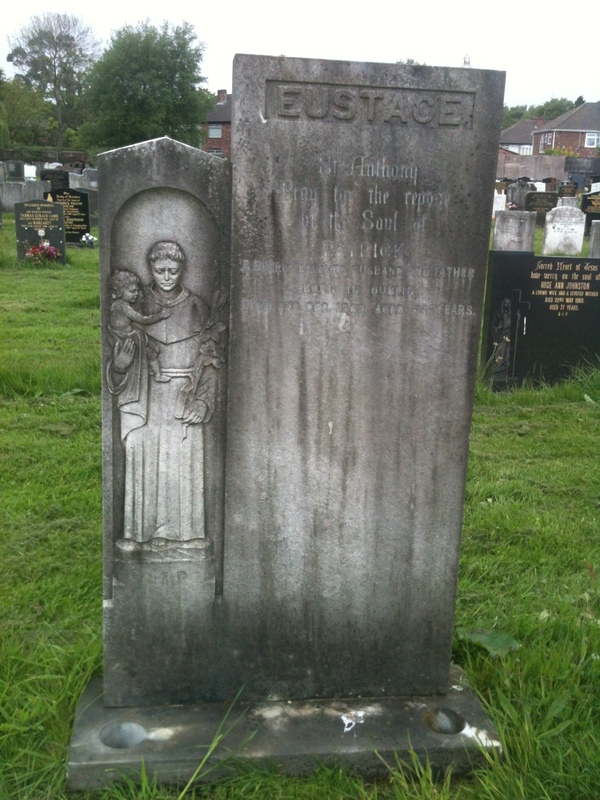 By the time she was 18, she had returned to her mother in Liverpool. Both worked in domestic service. Soon after, she married a French sailor, who unfortunately died before the birth of their second son. Kitty did whatever she needed to do to support her mother and her two children, from working in a factory producing nails to doing odd jobs in the fields. Yet she still found time for others and her kind and generous nature led to her nursing a sick woman for over 18 months. When this woman eventually died, in gratitude, her husband presented Kitty with a mangle enabling her to earn a living by taking in washing. 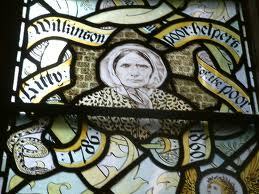 In 1823, Kitty married Thomas Wilkinson and became further involved in the care of poor children in the area, setting up a school for orphans and caring for waifs and strays, young and old, in her own home. When Liverpool was struck by a horrendous outbreak of cholera in 1832, Kitty owned the only boiler in her neighbourhood, and showed great enterprise and bravery in the face of this fatal illness. She turned her home into a washhouse, allowing the women in the local area to disinfect their clothes, bedding and other linen. She diligently nursed the sick in her neighbourhood and, recognising the importance of cleanliness, taught her neighbours how to protect against the disease by using a chloride of lime and boiling, which killed the cholera bacteria. It’s thought that many lives were saved as a result. As always in history, a disaster is often the motivator for change and soon after in 1842, Britain’s first public washhouse was opened in Liverpool on Upper Frederick Street. In recognition of her efforts in campaigning for this facility, she was appointed superintendent of the baths in 1846. Also in that year, she was presented with a silver teapot, gifted to her by Queen Victoria and the ladies of Liverpool. She’s recognised throughout the city for her tireless work on behalf of the poor, notably her image is in the Lady Window in Liverpool’s Anglican Cathedral. She was also the first woman to be immortalised in the newly renovated St George’s Hall, alongside 12 male benefactors of Liverpool from the Victorian and Edwardian eras. Born in Carmarthen on 24 February 1845, Alfred Jones began his career in shipping at an early age. He was apprenticed at twelve to the African Steamship Company in Liverpool and spent numerous years rising through the business, reaching the role of manager by the time he was 26. However, he had greater ambitions and left to begin his own business, borrowing money to buy a couple of small sailing vessels. While successful in his endeavours, Sir Alfred realised that the future lay in steamships and sold his own ships, accepting a managerial position at Messrs Elder, Dempster & Co, which had by then taken over the African Steamship Company. Alfred negotiated an employment package that included shares in the company and he continued to increase his influence in the shipping world, particularly in acquiring land and businesses in West Africa. He was the first merchant to import bananas to England in 1884 and the ships of the Elder, Dempster & Co line eventually became known as the ‘banana boats’. As senior partner, he took a leading role in opening up trade routes with the West Indies, as well as developing tourism and the banana industry in the Canary Islands. With his increasing wealth, he became a great philanthropist and founded the world’s first School of Tropical Medicine in Liverpool in 1898 – it was here later that it was first discovered that malaria is transmitted by mosquito bite. Amongst other high profile roles in Liverpool, Alfred was President of the Liverpool Chamber of Commerce. 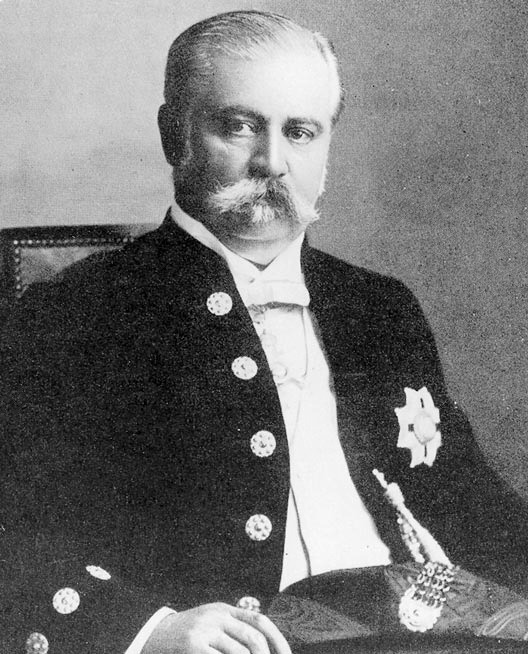 He was also knighted in November 1901 in recognition of his services to the West African Colonies and to Jamaica. 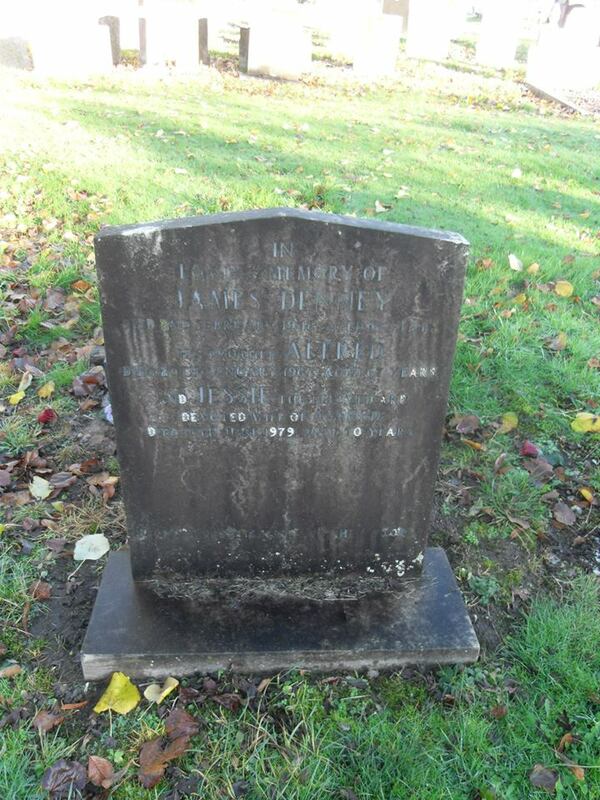 He died without marrying on 13 December 1909, leaving large charitable bequests. During his final illness, he was impressed with the quality of care he received from local nurses and one of his dying wishes was to erect a new local hospital. Although he didn’t have time to change his will, his sister arranged for a donation of £10,000 to be made towards the building of the Sir Alfred Jones Memorial Hospital in Garston. The hospital opened in 1915 on Woolton Road, and although it was closed in 2009, a new treatment centre on the site incorporates elements of the original architecture. There is also a Grade II memorial to Sir Alfred Lewis Jones at the south end of the Pier Head in Liverpool, facing west towards the River Mersey. Designed by Sir George Frampton and unveiled in 1913, this commemorates his lifelong support for Liverpool as a major port for trade and commerce. A main street in Las Palmas de Gran Canaria, the Canary Islands, is also named after him. We all want to honour the memory of our loved ones after they have passed away. We know our clients spend lots of time and put a great deal of thought into choosing the perfect memorial, one which rightfully shows the world what their deceased friend or relative means to them. After the headstone is erected, people try to make time to tend the grave and keep it looking as good as new. 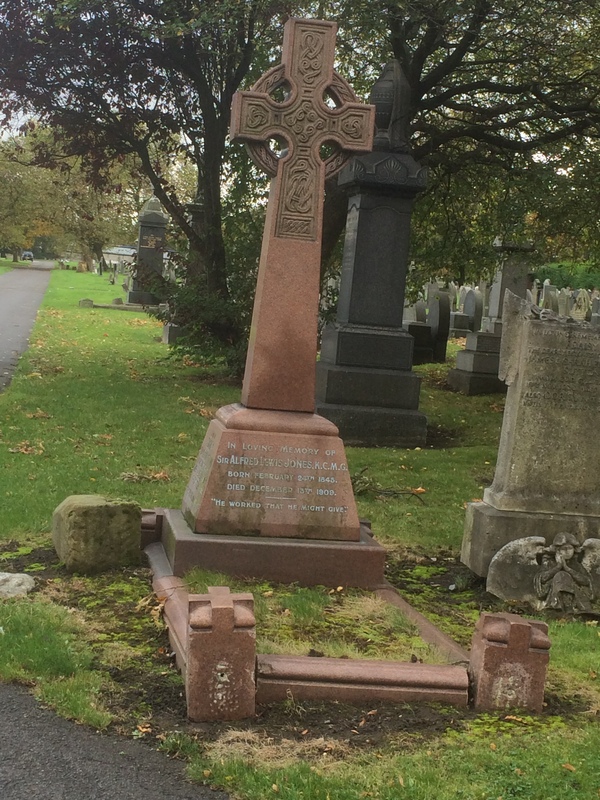 However, various factors can affect memorials: wind, rain and other adverse weather conditions, air pollution, lichen and mosses can all play havoc with even the strongest stone over time and leave it looking worse for wear. Unfortunately, some even fall victim to vandalism or accidental damage. Next time you visit your loved one’s grave, take a quick look at its condition. Could it do with a little tender loving care? 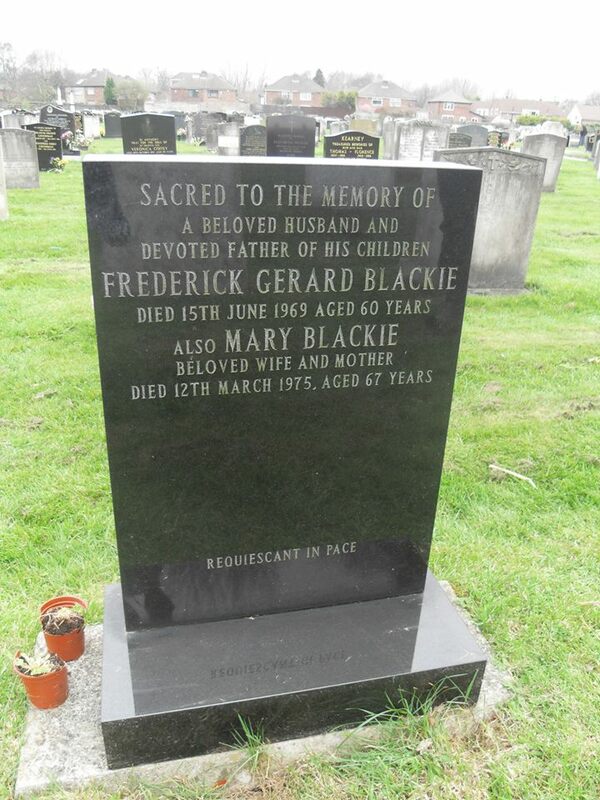 Sarsfield Memorials Liverpool is pleased to offer a full grave maintenance and refurbishment service. If you have moved out of the area, are getting on in years and not as agile as you used to be, or the demands of modern life mean that you don’t get to the churchyard or cemetery as often as you would like, why not let us give you peace of mind? 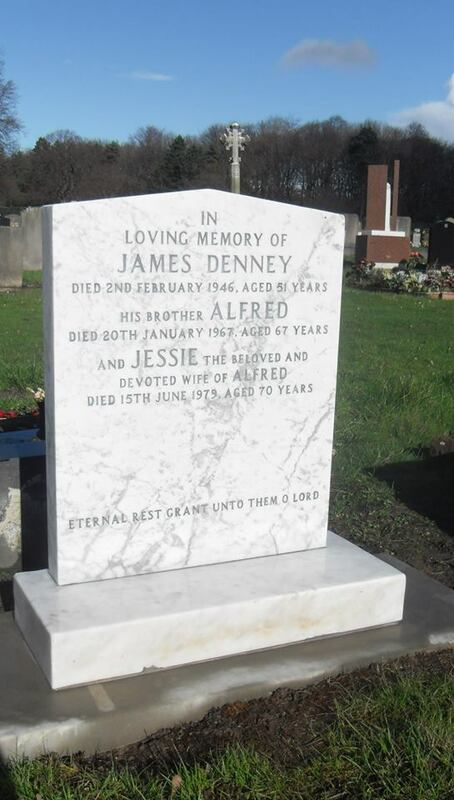 As professional craftsmen who take great pride in the work we do, we can restore your loved one’s memorial to its former glory. In many cases, we can restore it to as good as new condition. Many memorials are made out of granite, which is a hard-wearing stone that is capable of resisting the worst effects of the British weather over the years. In most cases, though, they will still benefit from a quick professional clean to restore a pristine look and any faded or damaged lettering can be engraved again or re-gilded. Softer stones such as marble, Portland and sandstone can suffer more serious damage and look discoloured, especially marble which families often mistake for concrete as it gets so dirty if not maintained regularly over a period of time. 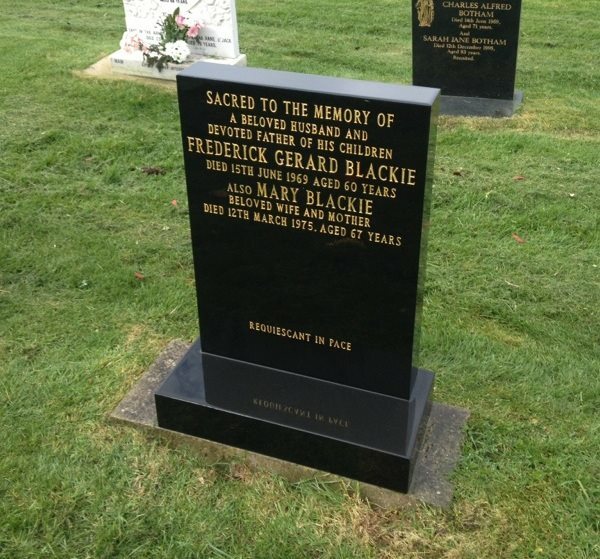 Here, we can professionally clean, repair or replace memorials as necessary, in line with your wishes. Whether you live locally or not, we will always take a photo of your memorial beforehand, giving you our recommendations on the work that needs carrying out. Once work is complete, we’ll send you a further photo, so you can see the improvements made, giving you peace of mind in the months and years to come. And don’t forget we also offer a range of services for maintaining the graveside on an ongoing basis, including laying fresh flowers and tidying around from season to season. As a gift to you and your family this New Year, we are pleased to offer a price reduction of 10% in our cleaning services. Why not call us for a quotation today? We’re always happy to answer all of your queries free and with no obligation.